The official trailer for Metallica's upcoming feature film, "Metallica Through The Never", can be seen below. Featuring dazzling pyrotechnics, the most elaborate live-performance stage ever built and imagery drawn from the band's trailblazing iconography, the immersive 360-degree show creates a mind-bending, ear-shattering mirror image of the destruction and chaos of Trip's journey. "Metallica Through The Never"'s state-of-the-art 3-D photography, captured using up to 24 cameras simultaneously, engulfs audiences in one of the most innovative andexciting cinematic experiences ever imagined. 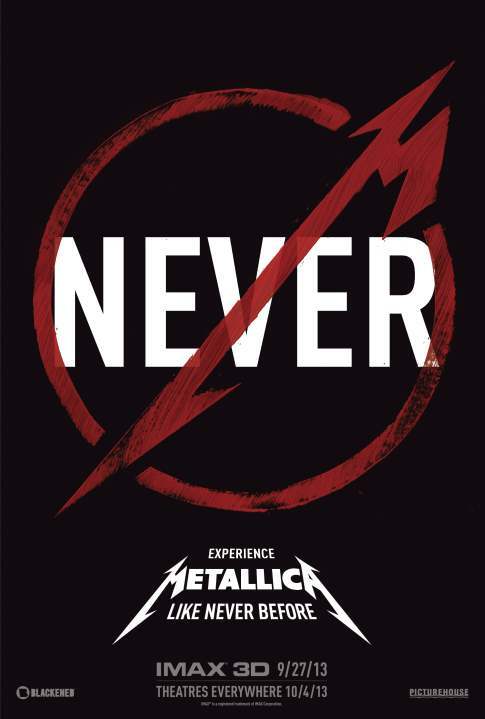 "Metallica Through The Never" will open on IMAX screens in the U.S. on September 27, with a wider release following on October 4.